Congratulations to Agnes Mazot and Bruce Christenson with their winning proposal. We will keep you updated through this webpage. Rotorua. Picture by Eric Grosfils. Ruapehu Crater Lake. Picture by Craig Miller. Ruapehu Crater Lake. Picture by Veronica Chiarini. Bruce Christenson, Steve Sherburn and Jean Vandemeulebrouck on Ruapehu Crater Lake, January 1991. Picture by Tony Hurst. Phreatic eruption of Ruapehu in September 1995. Picture by Tony Hurst. A degassing Ruapehu, September 1995. Picture by Tony Hurst. Echosounding at Ruapehu Crater Lake, April 2010. Picture by Tony Hurst. 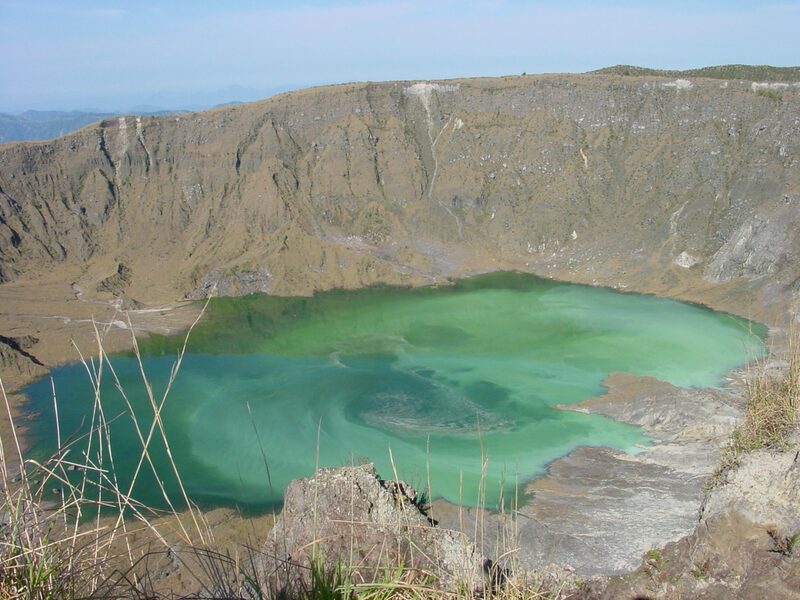 The Crater Lake on White Island volcano had shrunk to a few puddles on 21 December 2011. A sudden increase in lake level at the end of July 2011 was followed by a small eruption of ash and steam from a vent under the lake in August 2012. Picture by Tony Hurst. Rupehu Crater Lake. Picture by Karoly Németh. Ruapehu Crater Lake, after the September 2007 eruption. Picture by Karoly Németh. Champagne Pool. Picture by Karoly Németh. Frying Pan Lake. Picture by Karoly Németh. Inferno Lake. Picture by Karoly Németh. Lake Taupo. Picture by Karoly Németh. Tongariro’s Emerald Lake. Picture by Victoria Smith.